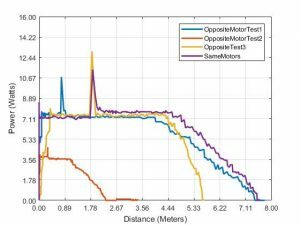 Opposite Motor Test 1: The Team AEV design was tested with two motors on opposite ends with two motors running at a time. 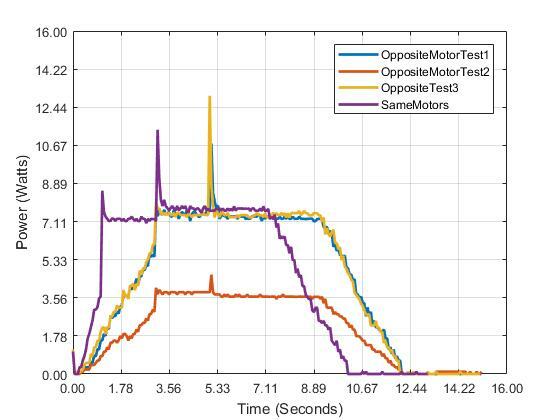 Opposite Motor Test 2: The Team AEV design was tested with two motors on opposite ends with one motor running at a time. 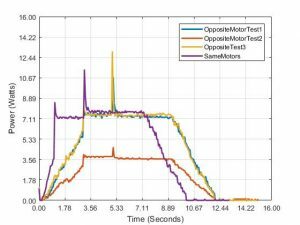 Opposite Motor Test 3: The Sample AEV design was tested with two motors on opposite ends with two motors running at a time. Same Motors: Sample AEV design tested with motors on the same end. 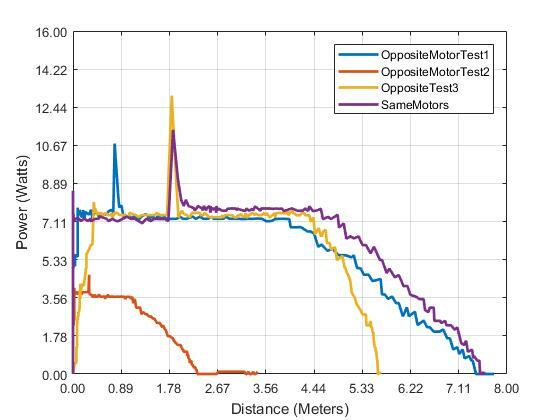 With the motor configuration tests, it was found that running the Sample AEV with motors configured on the same side used a similar amount of energy as running the Sample AEV with motors configured on opposite sides. When the motors were on opposite sides, the energy used was slightly less. Therefore, the Team AEV design was tested with motors on opposite sides and used the same amount of energy as the Sample AEV design.